The Tops 3 is a 1 bedroomed self contained apartment which is the whole of the ground floor in a large terraced house. It comprises of 1 double bedroom with twin beds, a large lounge with a bay window, bathroom and toilet with bath and shower, kitchen/diner. Central Heating with instant shower. 3* accommodation only 2 miles from the City Centre. It is within easy reach of Headingley Cricket and Rugby Stadium, Leeds united, Leeds Infirmary, St. James's Hospital, Yorkshire Television, Leeds University, the Leeds Theatres, The Royal Armouries, Leeds/Bradford Airport, and the new Leeds Arena. Fully equipped for self catering with pots, pans, cutlery, crockery, glassware, and ironing facilities provided. All bed linens are also provided but not towels. All amenities are close by including Shops, Supermarket, Pubs, Fast Food Take-aways, and a fully equipped Leisure Centre that has a swimming pool, gymnasium, solarium, and all training facilities. 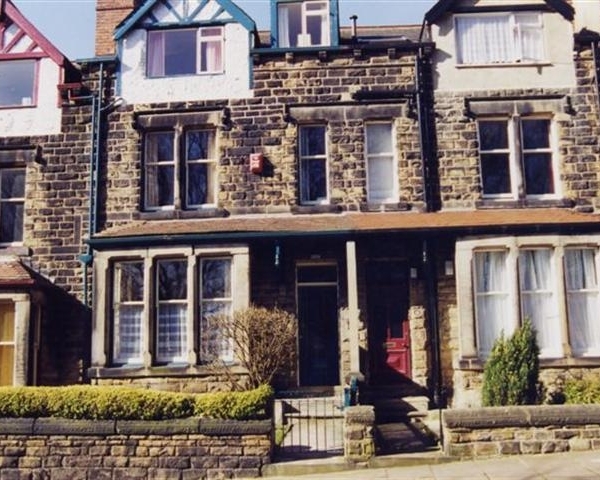 Park Mount is a row of stone fronted terraced houses that overlooks the churchyard of St. Steven's Church, and is close to Kirkstall Abbey and it's Museum. Buses run from the bottom of the street. A park and children's recreation ground are next to the Kirkstall Abbey Museum which is only 5 minutes walk from the accommodation. Free unlimited on street car parking outside the accommodation. TV, DVD player, radio, and free unlimited access to Broadband. Graded 3* by The English Tourist Board.